(1) Objects’ saturation decreases with distance. 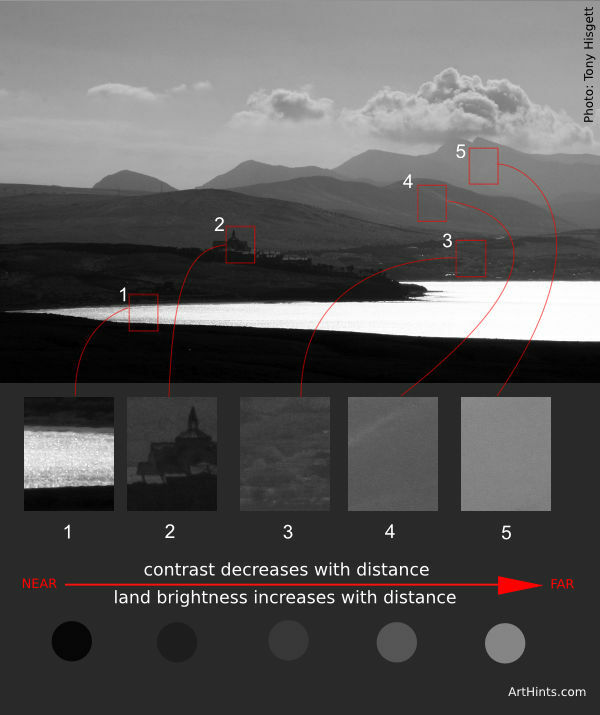 (2) Contrast decreases with distance. 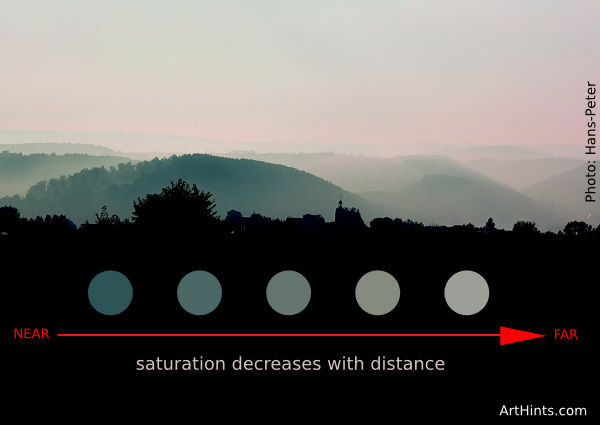 Decreased saturation and contrast explain why it’s harder to see/resolve fine details for far away objects even through binoculars. Low contrast means that there isn’t much difference between the brightest and darkest areas. Low contrast does not mean blurred! (3) Brightness increases with distance. Have you noticed how in many movie scenes, anything near the camera is usually darker than what’s farther away? See if you can spot this next time you watch a movie. Film directors will often “smoke a set” with dry ice and then back-light the smoke to achieve an atmospheric effect, even for outside sets like jungles where lots of smoke is needed! Diagram based on photo by Tony Hisgett. (4) Edges remain sharp even when far away. (6) Atmospheric perspective appears in media other than air. Examples include underwater and in the atmospheres of other planets and some moons. (7) As the aerial perspective effect intensifies (e.g. heavy fog, pollution), the distance at which objects take on the atmosphere’s color and value decreases. 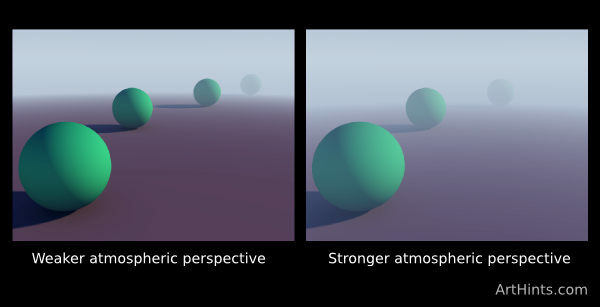 In other words closer objects become more affected by atmospheric haze as the effect intensifies. 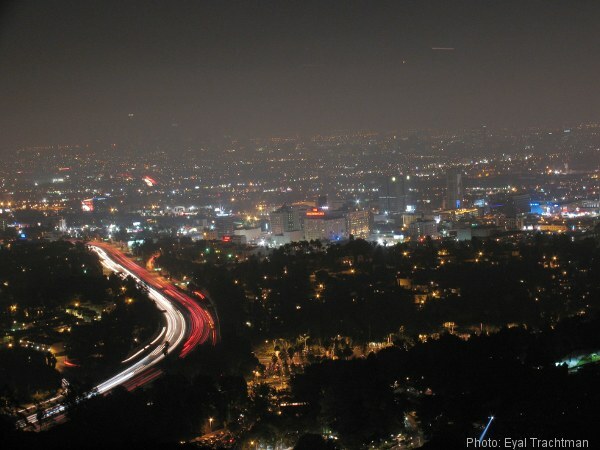 (8) Atmospheric perspective may be weakened by strong lighting. 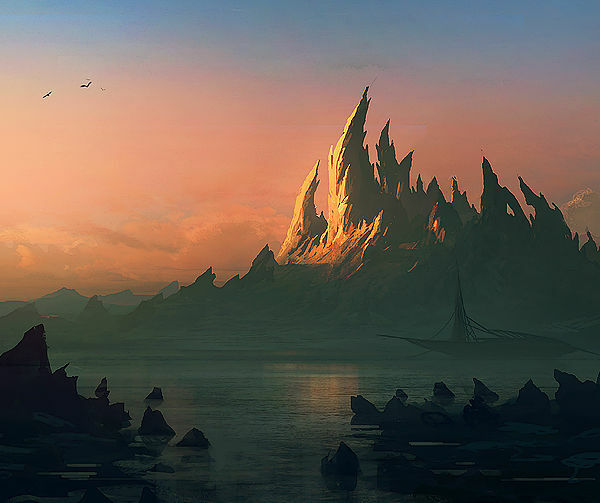 “Another mountain” – Painting By Andrée Wallin. Closeup view of the sunlit peak. 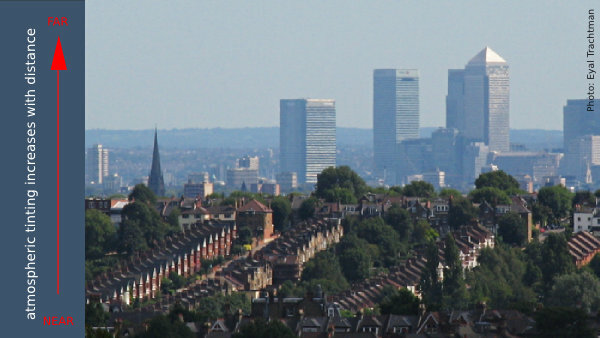 This was the first in a series of articles about atmospheric perspective. Stay tuned for future posts that will cover other important aspects of this phenomenon. Mars vista – note the yellow-orange atmospheric color.